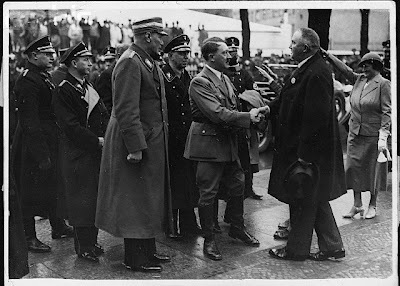 Here's Hitler meeting with one of his allies in the Auto-Industry. Hitler smashed the trade unions and supplied the German Auto-Makers with concentration camp prisoners as slave labor. That doesn't very "anti-capitalist" to me.